THE DEATH of 31-year-old Savita Halappanavar has brought the world’s media attention on Ireland and has highlighted the dangerous reality that the ambiguity of the law has created. Savita Halappanavar died in Galway University Hospital while suffering a miscarriage on 28 October. During the miscarriage she is reported to have asked for a termination after it became clear that the foetus could not survive. Her husband claims that doctors told him they could not terminate the pregnancy “because this is a Catholic country” and it was against the law to carry out an termination while there was still a foetal hearbeat. Savita died of septicemia and organ failure. Her husband says he is “in no doubt” that she would still be alive if an abortion was carried out when it was requested. Despite the ‘X Case’ ruling of 1992, which found that abortion was permitted where “a pregnant woman’s life was at risk because of pregnancy, including the risk of suicide”, none of the subsequent six governments has ever legislated for the ruling, leaving major uncertainty within the medical profession on when it is legal to intervene. More than 20,000 people demonstrated in Dublin, Galway and elsewhere in Ireland and at Irish embassies overseas the week that news broke of Savita’s death, calling for immediate movement on the issue. Sinn Féin also used its time in the Dáil to put forward a motion which called for the publication of an expert group on abortion’s report without delay and immediate legislation for the ‘X Case’ in accordance with the 1992 Supreme Court ruling. Mary Lou McDonald TD described the motion as “a very reasonable ask” to deal with a system that had “fudged, prevaricated and failed to act in 20 years”. Meanwhile, Sinn Féin Health spokesperson Caoimhghín Ó Caoláin used his time to rebut some of the accusations levelled at protesters and his own party for bringing forward the motion. “I want to refute the spurious accusations that the people who have come onto the streets in the wake of this tragedy are ‘opportunists’. The same accusation has been made against Sinn Féin in relation to this motion. I think it is a most insensitive accusation. Ó Caoláin also acknowledged that not all Sinn Féin members concur with the party’s current stance, saying it was “a most contentious issue with widely differing and sincerely held views”. Describing it as a divisive issue which cut across society, he said legislators had used that divisiveness as “an excuse for inaction”. Sinn Féin’s Sandra McLellan (Cork East) described the state’s history of dealing with women’s issues as “abysmal”. 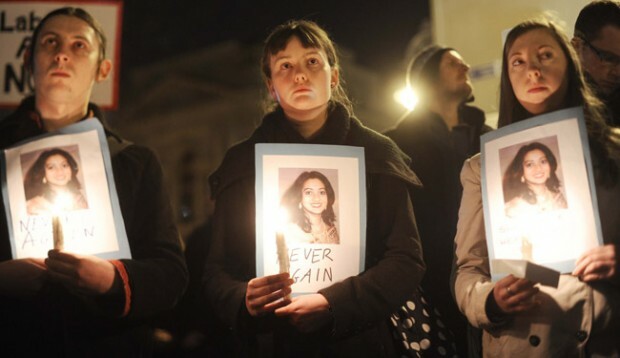 “No amount of legislation can bring Savita back to life, but legislating for the ‘X Case’ can go some way to ensuring that this situation never occurs again,” she said. He went on to say that he was “ashamed” to live in a country where a girl is brought up in a place where women die because they are refused proper medical treatment. “I do not want that to be the country the next generation grows up in,” he added. The Government parties of Fine Gael and Labour voted against the Sinn Féin motion on Wednesday 21 November — defeating it 88 votes to 53 — as hundreds of protesters demonstrated outside the gates of Leinster House calling for them to support it. ABORTION has been illegal in the 26 Counties from the foundation of the state in 1922. In 1956, a backstreet abortionist named Mamie Cadden was sentenced to death by hanging after one of her patients died during a procedure. The sentence was later commuted to life imprisonment. In 1982, Sheila Hodgers, a pregnant mother from County Louth was refused treatment for cancer because the drugs and painkillers required could harm her unborn child. The refusal of treatment meant that the cancer progressed rapidly. On 17 March 1983, Sheila gave birth to a baby girl who immediately died; Sheila died two days later from multiple cancers. The amendment was approved by a referendum with 66.9% in favour. In 1992, a 14-year-old girl (known as ‘X’) who had been raped and became pregnant was prevented from having a termination in Britain by a High Court injunction. The girl had become suicidal because of the unwanted pregnancy. The injunction was overturned by the Supreme Court which found she had a right to an abortion under the Constiutional amendment of 1983 if there was a “a real and substantial risk” to her life. The ruling stated that terminations are allowed in the state where “a pregnant woman’s life was at risk because of pregnancy, including the risk of suicide”. In November of 1992, three amendments following on from the ‘X Case’ were put to the people. The outcome removed restrictions on women travelling to Britain for a termination and also removed restrictions on the distribution of information on abortion services in foreign countries. A further amendment which proposed that abortion would be prohibited even if a woman was suicidal was rejected by the electorate. Despite these and earlier rulings, no legislation has ever been passed, leaving doctors in what has been called ‘a grey area’. Fianna Fáil and the Progressive Democrats put forward an amendment to the Constitution to remove the threat of suicide as grounds for an abortion in Ireland. 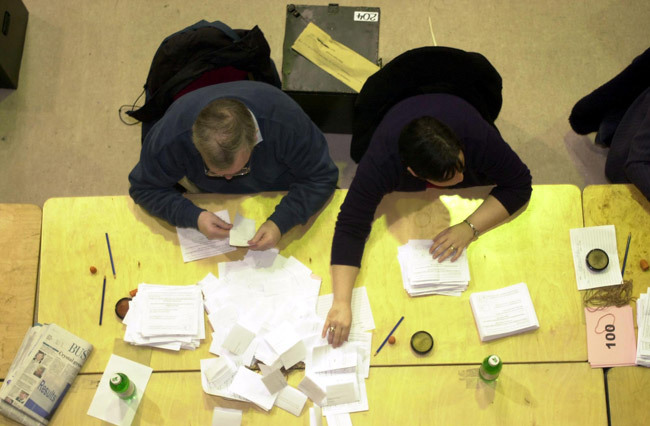 Sinn Féin, Labour, Fine Gael and others opposed the move and the amendment was defeated narrowly in a referendum on 6 March. In April 2012, legislation brought forward by United Left Alliance TD Clare Daly (and supported by Sinn Féin) would have brought the state into line with the ‘X Case’ ruling and European rulings if it had been adopted. 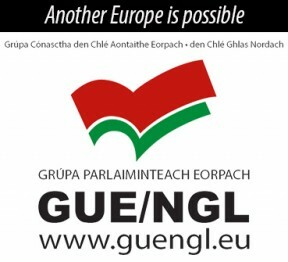 The legislation was rejected by the Government. In October 2012, Savita Halappanavar died while suffering a miscarriage at Galway University Hospital. In November 2012, a motion brought forward by Sinn Féin which would have forced the Government to end the 20-year delay and legislate for the ‘X Case’ and immediately publish the Expert Group’s report on abortion in Ireland was rejected by the Government.